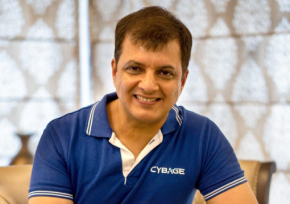 Next—Cyberage got its first four employees housed in a 3-bedroom flat in Salunkhe Vihar, Pune. “A good omen”, someone dropped the grapevine, “…did you know Mastek too had taken off from Salunkhe Vihar?” The hiring criteria for the four resources were quite simple. There was an aptitude test for 40 odd entry-level professionals from Center for Advanced Computing, Pune. The top 15 scorers were picked for an interview in which they had to meet only 3 eligibility criteria to be hired: The successful candidate (1) must be single (so that he can work hard because of no family commitments), (2) should not be from Pune (so that he can work hard because of no social commitments), and (3) should be “HE” (because any ‘SHE’ won’t work as hard because of possible home commitments)! Jesus! The company hadn’t even started, and I had already started scheming like an astute businessman! Of course, since then, I have been more than humbled on all three perceptions. It is interesting how our decision approach evolves with professional experience. When we have a little or no exposure, many of our decisions are dictated by raw perceptions. Then with passing time, these perceptions get even firmer—only now they are drawn from refined professional exposure (instead of gut feel). And then there is this final layer of exposure where it dawns on you that one should NEVER work on perceptions, but only on concrete evidence! Without doubt, the power of historical data analytics is far greater than raw instincts of the most brilliant intellectuals! You have already mentioned that one should never work on perception but only on concrete evidence. We all are eager to hear from the CEO that, what are the historical data analytics speaking ? 1) Do singles still rule ? 2) Do Geographical distance from to office help ? 3) Do he rules over she ? Can we also know what were the interview questions for these candidates?